Image by StuartAxe and used with permission. Image by Stuart Axe and used with permission. Not your usual airport shuttle. Image by Stuart Axe and used with permission. 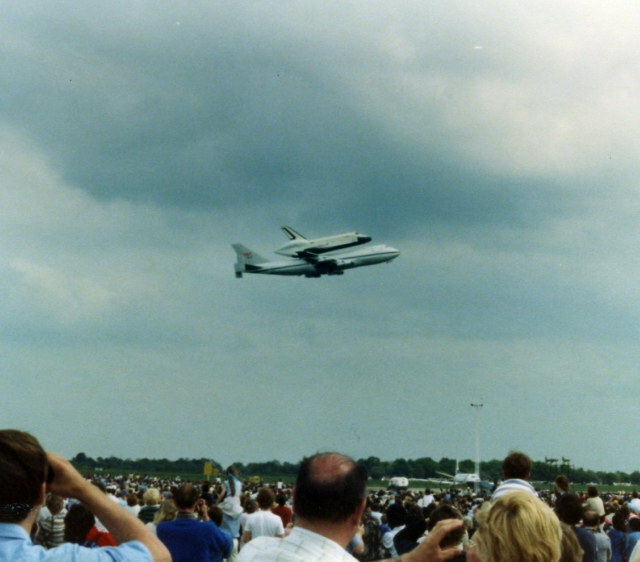 Enterprise coming in to land. Image by Suggs and used with permission. 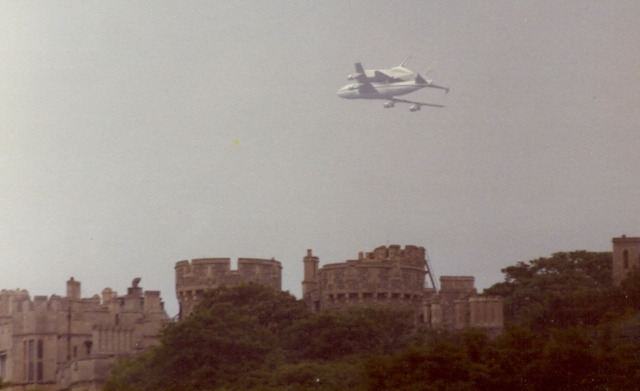 The shuttle, piggybacking on a modified Boeing 747, flies over Windsor Castle and Slough, home of the great Uranus-discovering astronomer William Herschel. Image by Chimemark and used with permission. 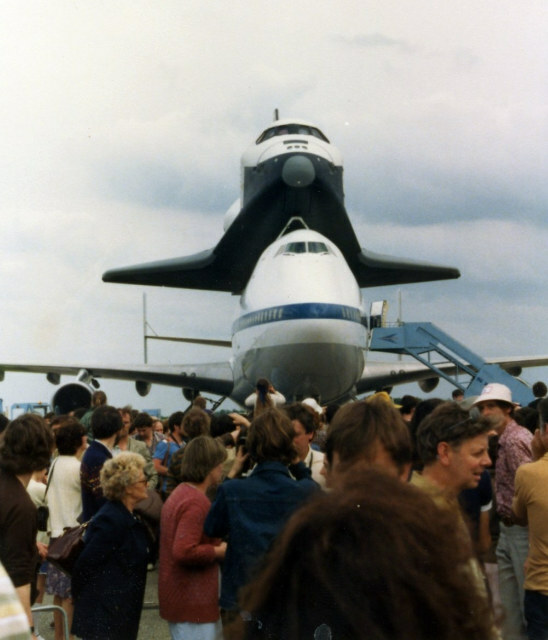 On 5 June 1983, space shuttle Enterprise touched down at Stansted airport as part of a European tour that also took in Germany, France and Italy. 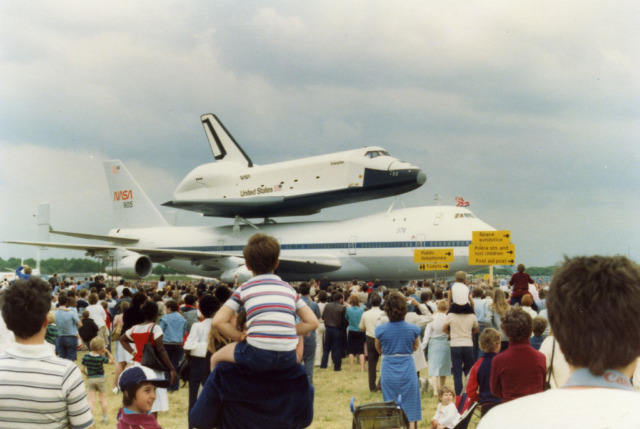 Crowds of 200,000 people turned out to watch the unique spectacle, while many more watched the flight over west and north London (pic of the aircraft over Heathrow). Unfortunately, bad weather forced the cancellation of a Thames flyover. We can only assume that the tabloid press ran with headlines of 'Euston, we have a problem'. 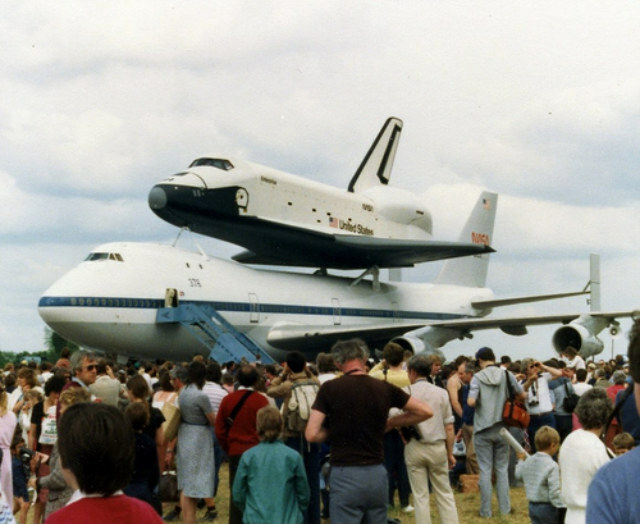 Although it flew several unaided atmospheric flights, and here crossed the Atlantic atop a modified 747, STS Enterprise never flew into orbit. 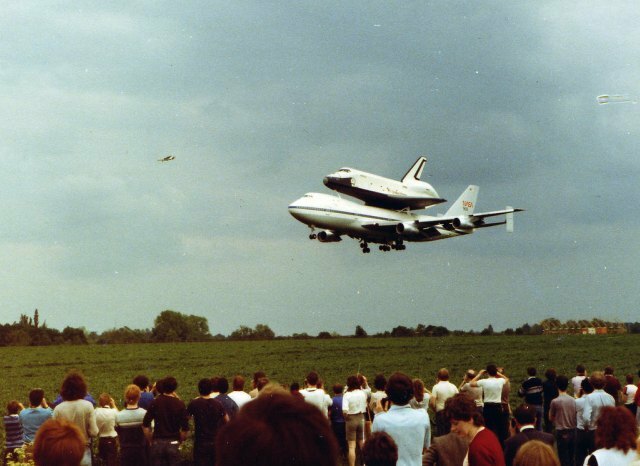 It was designed as a test vehicle to demonstrate that the spaceship could manoeuvre and land like a conventional aircraft. It was named after the famous command of Captain James T. Kirk, following a vigorous campaign by Star Trek fans. Further still images of the landing can be seen in the video below, and in this Flickr set. 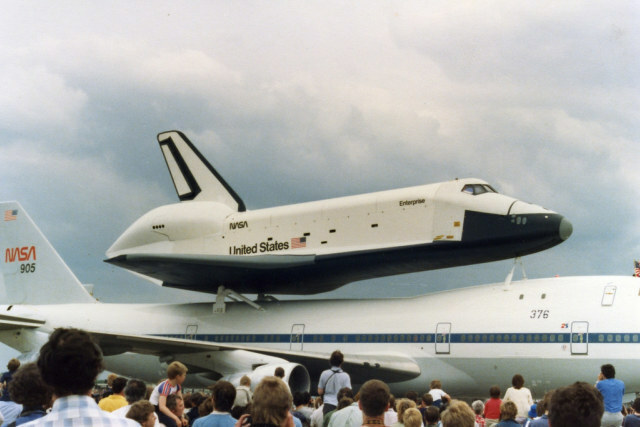 Long-term readers may remember our successful April Fool's joke inspired by the shuttle-747 configuration.